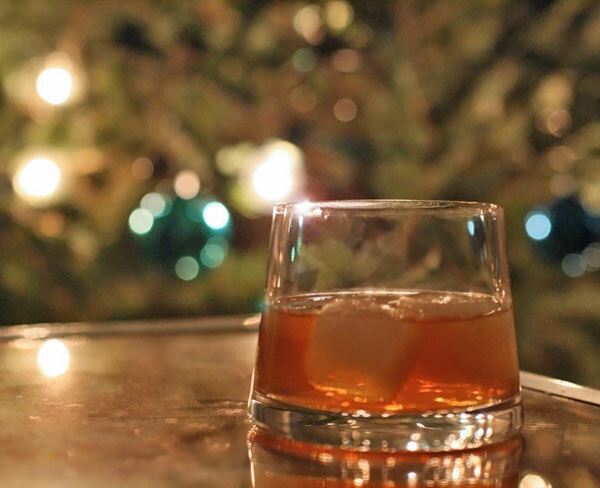 The holidays are the primo season for the cocktail party. It’s a great way to celebrate with lots of friends, because the easy-going vibe of a cocktail party encourages guests to mix and mingle. And it’s far easier to plan and execute than a sit-down meal. But throwing a cocktail party can still seem overwhelming and stressful. Here are five tips to help you stay sane — and allow you actually join your guests in raising a glass (or two or three). This one is so simple, it seems like it should go without saying — which is precisely why we’ve found ourselves on many occasions running out to 7-11 mid-party to stock up on more ice. Make sure you’ve got plenty on hand to chill bottles of wine and beer, and for use in cocktails. If you don’t have room in your freezer, store extra bags in your bathtub. They’ll be fine there until you’re ready to use them that evening. Setting out a holiday ham will wow your guests — it also happens to be a great entertaining cheat. A store-bought spiral ham is already pre-cooked, so all you have to do is warm it up for a few hours in the oven and glaze it. Present it whole and let guests slice their own pieces. Serve with good-quality potato rolls or biscuits, coarse-grain mustard and maybe even a cranberry spread, and let guests make their own sandwiches. It’s a hearty centerpiece for a cocktail party buffet, and you barely have to lift a finger. The right holiday party calls for the right music. Don’t settle for Pandora or that Christmas Pops channel on your cable TV. Make a playlist that fits the mood you’re going for. Pink Martini’s “Joy to the World” album has a great loungey sound. And if you really want to get things going, throw in some Christmas songs from El Vez, the “Mexican Elvis.” (Yes, you read that right.) His rendition of “Sleigh Ride” will get any party going! Zach Patton and Clay Dunn are the couple behind The Bitten Word blog, where they track their culinary adventures cooking from food magazines every month. The Bitten Word has been profiled in publications including Washingtonian magazine, The Washington Post and The New York Times. The blog was named one of “the 50 best food blogs in the world” by the Times of London, and in 2011 received Saveur magazine’s Best Food Blog Award for Best Cook Through Blog. Zach and Clay live and eat in Washington, D.C.